DOAB was started more than a year ago by a group of friends. I didn't join in then cuz I was stuck in the army(excuses! ), and now that there's a revival, I thought I'd give it a try. 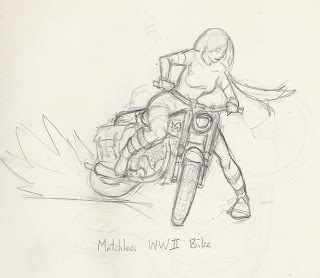 This week's theme is Gals on Bikes. Did you act blur this week? Woot 1st to finish! I like the trishaw!